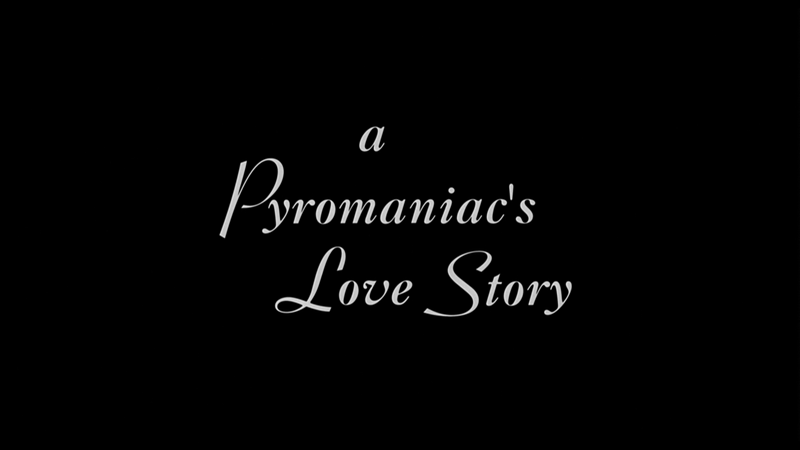 A Pyromaniac's Love Story is one of those films that has always been on the radar but never required viewing. The title is certainly intriguing, and it's got a cast--led by John Leguizamo--that's reasonably well known, but it's never pushed itself to the front of the queue to be watched. After sitting down and taking in this romantic comedy, it's clear why it's been in limbo for so long: it's just not that interesting. Directed by Joshua Brand (a TV veteran behind St. Elsewhere, Amazing Stories and Northern Exposure), the film is set "in a city not that far away." Right off the bat, there's a sense of heightened realism, almost like a fairy tale, but without any supernatural elements. 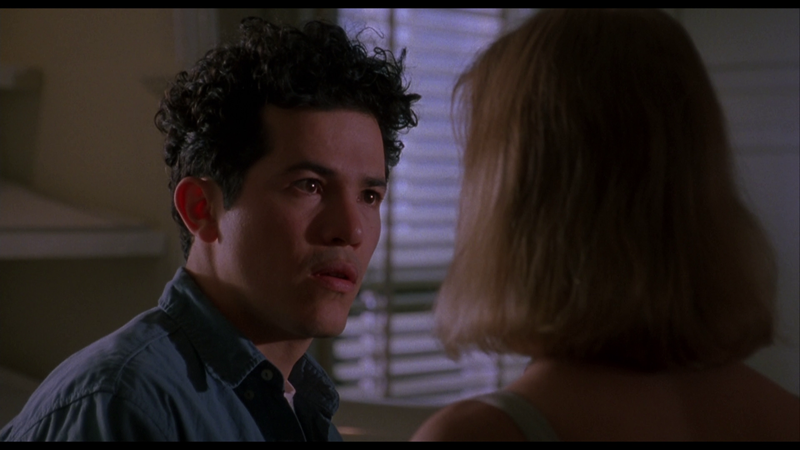 In a small town (which apparently borders a much larger city), Sergio (Leguizamo) is working in a little bakery, when a striking blonde (Erika Eleniak) forces herself on him for a kiss, and then exits when he turns her down. It's the start of a wild ride for the young man, as the bakery burns down, he makes a deal to take the blame for the fire, the local waitress he longs for (Sadie Frost) slips out of reach and the bakery's sweet owners (Armin Mueller-Stahl and Joan Plowright) wind up in legal trouble. On top of all of that, he meets Garet (William Baldwin), a man with a pronounced limp and a pronounced flair of the dramatic. His entrance into Sergio's life further complicates matters, as he's connected to the fire and the blonde, and he creates a series of problems for Sergio to untangle if he ever wants to be happy again. Playing something akin to insane, Baldwin is far from subtle in the part, and when he takes the screen, it marks a definite transition in the feel of the film, as what had been a dreamlike series of quirky missteps becomes a more aggressive mission for Sergio. That change wouldn't be a problem (most stories pick up momentum as they approach their climax), but the actual plot is not all that complicated and not all that interesting. There's less a question of "how will this end?" and more of "when will this end?" The intrusion of Garet into Sergio's world doesn't bring anything particularly surprising to bear, as the characters' intentions are always obvious, if not spoken out loud. If you can't figure out where it's all going, you might enjoy the journey, but you've also probably not watched too many movies before, so most things are probably enjoyable, even if only out of sheer novelty. Though Baldwin wasn't doing anyone any favors with his over-the-top performance, Leguizamo had no problem serving as the film's anchor. Believably sweet and over his head in this situation, his Sergio was a fine fit for the tone of the film, and there was every reason for the audience to want this to work out for him and Frost's Hattie. Frost is good as the small-town girl next door with a chip on her shoulder, but what her accent is supposed to be is beyond understanding and is, at several points, distracting. As the Linzers--the bakery couple--Mueller-Stahl and Plowright are just about perfect, the kind of storybook folk that only live in a world like the one in A Pyromaniac's Love Story. If only the film built around these people was as engaging as they are. A Pyromaniac's Love Story arrives on one Blu-ray disc, which is packed in a standard keepcase. The film's poster art is on the front and on the disc's static menu with options to watch the film, select scenes and check out the extras. There are no audio options, nor are there subtitles. The 1.85:1, 1080p, AVC-encoded transfer on this disc isn't one of Kino's stronger releases, as the presentation fails to impress thanks to inconsistent fine detail, mild saturation and a noticeable amount of dirt and damage in the image. 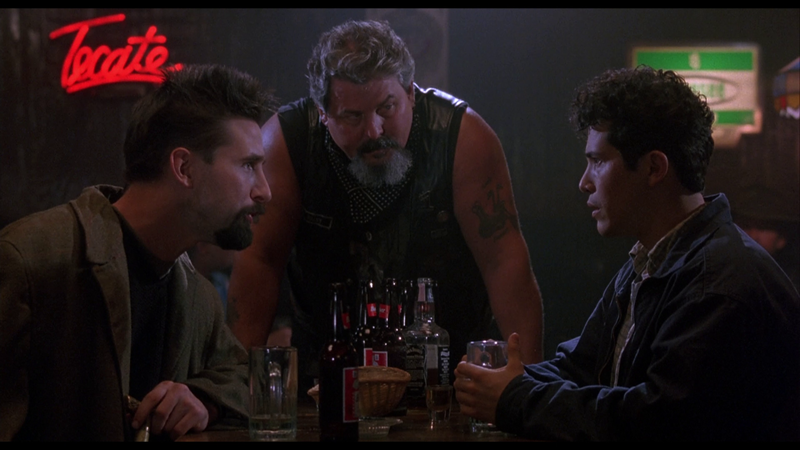 There are points where things pick up like the bar scene between Leguizamo and Baldwin where the color is more appropriate and the image is sharper overall. But too often the film looks like a holdover from a previous generation, unlike Kino's usual top-notch work. Part of it can be assigned to the film's visual style, but not enough to defend the image. The audio is presented with a DTS-HD Master Audio 2.0 track, which does fine by the film's limited mix, which is mostly about the dialogue (carried cleanly) and the score (which seems to rely on a small group of orchestral themes). Beyond those decently prioritized elements, some ambient sound fills out scenes where present. It's the kind of sound that fits, but doesn't stand out. Brand sat down with moderator Heather Buckley for an audio commentary that has the feel of an in-depth interview, as Buckey prods the director with questions to get info about the visual style and themes of the film, his background and style of working with actors, and the influence of New York City on the film. It's a solid track, with some good production stories and insight on the making of the movie. A trailer for A Pyromaniac's Love Story is accompanied by previews for Boys, Angie, Indian Summer and Roommates. A comedy of errors, A Pyromaniac's Love Story's engine is its expression of quirkiness, which seems to work better in TV series, where viewers can soak in the feel and spend time with a variety of characters. Here it feels like that atmosphere is carrying way more weight than the meager plot, which is a shame considering the cast on hand. It's also a shame that the presentation is similarly lacking, though Kino has thrown in a quality commentary track, so fans of the film will have added reason to check out this disc. 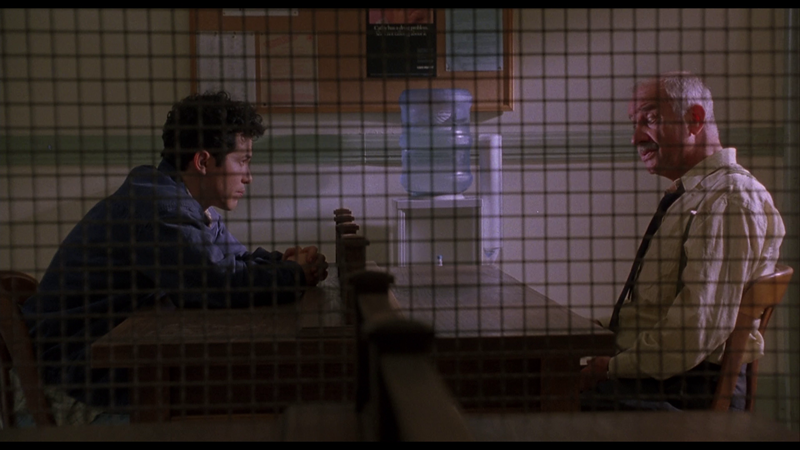 If you like Leguizamo, he is certainly enjoyable, but as a whole, the movie doesn't have enough charm to make it work.